HD How-to DIY Videos for Fixing VW Golf and Jetta MKIV - AARodriguez Corp. Does your armrest lid have broken hinges that can't be fixed? Now they can! Click here to check out this video and see how to install unbreakable replacement armrest lid hinges. 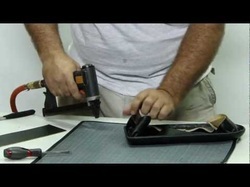 A how-to video showing the process of taking apart an armrest lid, removing the old fabric, and reupholstering it. -How to Install a CV joint / Drive shaft on MKIV Golf DIY - Watch this video in HD! -How to permanently fix your foggy and yellow headlights. Great video showing how to replace old plastic lenses with new glass lenses. -How to Install the fuel door remote kit - Watch this video in HD! 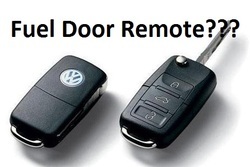 Would you like to be able to unlock your fuel door with your OEM remote? After watching this video you will be able to install the fuel door remote kit with ease! Want to know how the fuel door remote kit works? Watch this video in HD! Fuel door remote kit installed on a VW Golf - Watch this video in HD! Here's a great example of a MKIV Golf with a fuel door remote kit installed. An alternative place to install the sensor for the fuel door remote kit - Watch this video in HD! Another great example of a vw golf with the fuel door remote kit! Would you like to see more how-to videos? We will film how-to videos based on popular request.